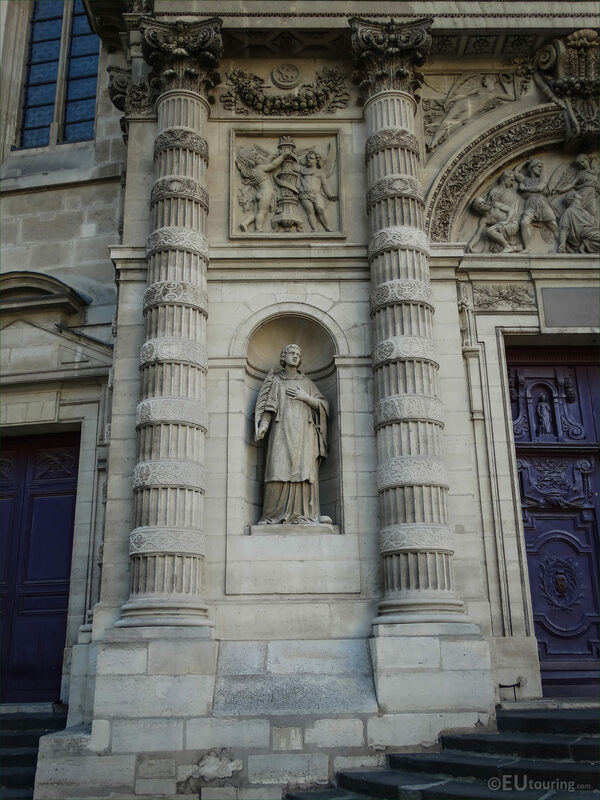 We were within the 5th Arrondissement of Paris when we took these high definition photos showing a statue of Saint Etienne, on the facade of the Eglise Saint Etienne du Mont that was sculpted by Joseph Marius Ramus. 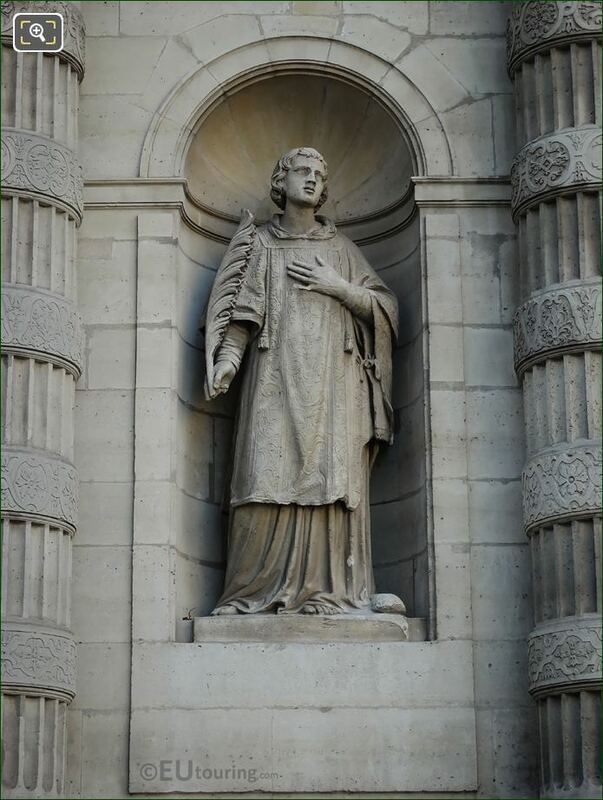 So this first HD photo shows the statue of Saint Etienne, who is sometimes referred to as Saint Stephen, and this was produced by the French sculptor Joseph Marius Ramus during the Second Empire, after the original statues on the church were destroyed during the French Revolution. 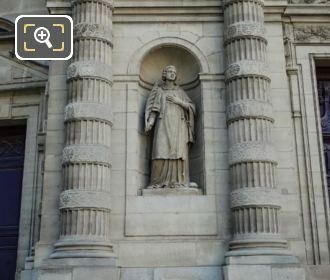 And in this photo you can see that the statue is located on the left hand side of the entrance to the Eglise Saint Etienne du Mont, which is actually by the square next to The Pantehon. But originally, this church was an abbey dedicated to Saint Genevieve, the Patron Saint of Paris, but in 1221 it was rededicated to Saint Etienne, and when the new church was constructed, after completion, this was rededicated in 1626 to Saint Etienne, or Saint Stephen, who was the Patron Saint of the old cathedral in Paris, yet this church still holds the shrine of Saint Genevieve.